Discussion in 'Whatever' started by b1470, Mar 3, 2019. Don Datadub had a great little graphic on his Facebook earlier this year mapping out all of the events on a calendar - Japan and other parts of the world. Could be on his instagram as well? 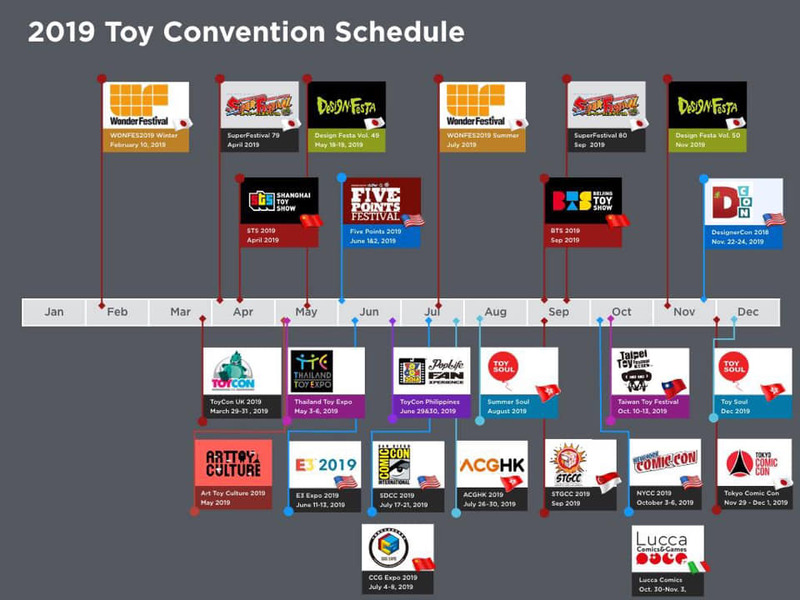 That's probably the schedule of events at which 1000toys will be exhibiting.